Finding best mobile app Development Company in Dubai, Abu dhabi, UAE ? We have worked with 50+ companies, startups and entrepreneurs in Dubai, Abu Dhabi, UAE to deliver the best mobile app development service!! At Quantum IT Innovation we create the award-winning mobile application with the focus to give the best quality at the right cost. With our 9 + years of worldwide app development experience, we able to deliver some of the best projects and made a landmark in the world. We are proud of our designers and developers that passionate to gives the best mobile app development service in Dubai, UAE. Give your business a perfect push, start mobile app development with a free app design. The expected look for your mobile application. The design & feel the mobile application will have. We can easily take the feedback on the mobile application without spending a money. You can easily show the app design to the prospective customers and know their feedback without spending a penny. On the basis of free app design, you able to makes the right decision to invest in our mobile app development service in Dubai. We are among the leading Mobile App Development company in Dubai, serving for more than ten years by accomplishing the finest Mobile app development projects of various industries. Why Mobile Apps have become Important? The advancement in Mobile technology has changed the entire dynamic of the Online Marketing of the businesses. As we all know, Mobile App Development in Dubai is now taking a new face for all the established or start-ups businesses, It has become an integral part of the business framework as it provides the surplus boost that one cannot imagine. Each and every business need has been shifted towards an application idea which is followed by strategic marketing planning and its uses to achieve the desired output. Mobile Application Development in Dubai has now transformed into a flat out need have for any business with the ultimate objective to stay best in class in the coming time of advanced technologies. If you are looking for the best Mobile app development company in Dubai for Android, iPhone, E-Commerce or a Hybrid Application development, Quantum IT Innovation is here to help you out. Our team of experienced top mobile app designers and developers can assist you to change your innovative idea into a possibility. Our qualified mobile app developers in Dubai collectively has a contribution in working both at local as well as international platform and have developed a number of user-friendly applications for various extent of clients and organizations. We make flexible compact applications that are consistent, straightforward and energetic. Our portable application improvement gather is outfitted with the latest development instruments and significantly talented in the domain of codes and sentence structure. Mobile App Development has majorly classified on the basis of the operating system it is made upon. Android App Development and iOS App Development are the two platforms where 95% of mobile applications in Dubai are made. So, before starting any Mobile App Development Project, one should be clear about the usage and performance of these two different platforms. The operating system must be chosen wisely by keeping in the mind the business objective, targeted location, and the customers. Our expert Mobile App Development Company in Dubai, UAE has been working in the field of mobile application improvement for quite a while. We have aced the specialty of building Android applications with embracing refreshed innovation and guarantee to accomplish the targeted ROI. We stand out from the crowd through our creative thoughts and cutting-edge techniques. On a global scale, Android App dominates over others, it may vary according to the location and customers. There’s no other operating system like Android. Android apps help to enhance output, develop the market and advance your brand reputation. Apple iPhone, iPad, iPod etc operates on iOS App software. We are the affirmed iOS development company in Dubai that offers solid and strong application benefit over the world. Today, iOS app development covers approx 60% of the mobile application market as there is a gigantic uplift in the usage of iPhone and iPad customers in Dubai. Consequently, It is imperative to stay aware of market value necessities as well as user end experience to develop an advanced iOS App. iPhone applications are a standout amongst other approaches to establish a connection with your clients and audience. Our specialized and experienced group of app developers in Dubai are among the best available in the market. We ensure that your iPhone applications are outwardly attractive and creative enough to give you and your organization a unique face. Swift is an alternative to the Objective-C language that employs modern programming-language theory concepts and strives to present a simpler syntax. We don’t leave untouched any innovation present in the market. Swift is another and profoundly helpful programming platform that has blasted the market. Swift App Development is made for making local applications as it provides high security and gives more ROI. Quantum IT Innovation, a mobile App Development company in Dubai permits creating complex Mobile Application effortlessly by adding more designers to the group. In contrast, Swift consumes less time and effort to build mobile apps. Cross-platform mobile development refers to the development of apps that can be used on multiple mobile platforms, such as Android and iOS. Cross-stage application advancement alludes to the improvement of mobile applications on different stages. It is the most slanting application improvement methodologies being utilized by the mobile app designers in Dubai to boost the client’s business. The most reasonable company for Mobile App Development in Dubai clearly understands that each platform is different and unique and therefore, we carefully craft your mobile app to ensure it performs well on each platform. The latest technology that has surprised people worldwide is the usage of Artificial Intelligence in Mobile Applications. Now, the use of Artificial Intelligence in mobile applications is growing rapidly, as its application, first of all, makes a person’s life easier and better, and also economizes the time. AI changes the boundaries of its stay: as it can be seen not only in laboratories but also in our everyday life as a GPS, in energy networks, in the online world. Quantum IT Innovation, the best Mobile App Development Company in Dubai, has skilled app developers who can embed Artificial Technology in mobile apps to give a fresh and intelligent outlook to your business. Quantum IT Innovation is best among the others UI/UX App Design company in Dubai. We design the intriguing mobile app that one cannot ignore. We design an engaging, attractive and easy to use mobile app that helps people to get connect easily and increase your download from the app store. We have a systematic process of designing and developing an app, goes through mainly three steps, like Analysis, followed by wireframing and prototype, and lastly visual output design. Our team has designed many reputed companies app that you can see in our portfolio. We will execute your idea with our experience to get the app you want for your business. We have the strength of designing and developing mobile apps in the Health &amp; Beauty sector from quite a long time. We have successfully designed apps for various doctors and beauticians to increase their reach to their potential customers. Health &amp; Beauty industries are presently the most growing industry of this time. We have come up with new and updated ideas to make your app look unique as well as worth the money. We can provide the whole new level of experience to your customers by building an amazing application which will integrate into your idea and resonate with the customer demands. Tour &amp; Travel is the most competitive industry of this time, it has become way too challenging to stand out and make an impact of your business through an app. We focus on making an output driven app that will benefit you as well as your customers simultaneously. Financial service looks similar if there is no level of differentiation and, what better then a technology to make it possible. We have created compelling mobile applications for various finance &amp; banking groups worldwide which help to get them a high engaging customer and loyal customers. It is difficult to increase user motivation and engagement in a finance-related app as it indulges money and budget. We make a highly advanced app that has secured transaction and funding process. Technology and telecom have come to play a major role in how we discover, coordinate and experience things. The right mobile app can possess the capability to open up the crucial line of communication between the customer and you. Industry statistics reveal that over 80% of mobile apps are discarded within the first three months of its launch, so, make an app successful, it requires mobility-enabling technologies to make a place in the telecom industry. We, Quantum IT Innovation fix all the existing issues and implement the solution to help you. and consumer base through an app. Quantum IT have the team of some of the best app developers and designers that have a passion and experience to give best mobile application. We individually assigned team developers for every app development project which is equally headed by a project manager so by this way we able to fulfill all our client requirements and give them the best mobile app development service in Dubai. We have a global presence in locations like USA, UK, Canada, Singapore, Hong Kong, Dubai, and India, which able to serve us the wide verity of customers in different industries. Over the span of 9 yr. of working we deliver 800+ app development projects by combining IOS and android together. 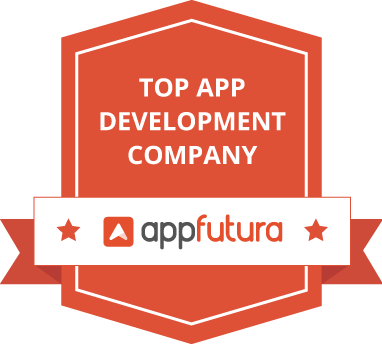 Currently, we also featured in Goodfirm in the top list of best mobile app development companies in Dubai. We are structured organization and work in an organized team which is full of coordination to deliver the quality results to the client. We have a dedicated proven process to give the best mobile app development in Dubai, find it at the bottom of this page. In our 9 yr. of experience we did numerous test and iteration on every of our process whether you talk about app, web or digital marketing to make it the best way to provide quality results so choose the best mobile app development company in Dubai. Similarly, we will combine these technologies in android, Ios, Hybrid and cross-platform application to deliver the amazing mobile application development service in Dubai. Being the Top mobile app development company in Dubai, UAE, we offer our clients the free app design service to showcase our work quality. We think it’s the best way of working, as it assures the customers that we are capable of making their mobile application. Apart for free app design we also send the case studies of our old customers to make them assured that they will definitely get the best mobile app development service. Our Process, that made us the top app developer in Dubai. 1. Build a strong understanding with our Dubai customers. 2. Cost estimation to deliver the value for money in app development in Dubai, Abu Dhabi. One agenda we follow in mobile app development in Dubai is to make the app budget friendly because we believe that you can make the great and amazing thing with money but if extraordinary things can only be made in the budget. Unlike other mobile app development companies in Dubai & UAE, we put a strong emphasis in the design of the application, because the success just not depends on the value it provides but it also depends in the design of the application. Information workflow and architecture– To make the best design and look of mobile application we know our clients, need and what kind of product, services and expected information the app will have. 4. Quality App Development in Dubai. Well we know you are waiting for this crucial step where we actually start the mobile app development, the development begins with the formation of a team in which there is 3-4 app developers based on the project then there is 2 app designers 1 project manager and 1 dedicated customer handing guy which looks to the need of our Dubai clients. API is the application programming interface, its main function is to make the communication between the application & backend server so our expert app developers will make the fluid API which works best without any stoppage. 5. Testing & launching to give the complete mobile app development in Dubai, Abu Dhabi. This made our service best in cost to the quality equation. Test the functioning of the application. After these test, we launch the application in the app stores of Android and IOS and keep a constant watch on the reviews it gets. This is how we provide known as the best mobile app development company in Dubai. We also help you to get more mobile app downloads!! To build an amazing app is the first step to get successful in mobile apps business, the next step is how can you download your mobile application. That’s why in Dubai, apart from mobile app development we also market and optimize our customer’s mobile applications, so that it fulfills the ultimate company objectives. We do activities like keyword insertions Image optimization and app description optimization so that your customer will easily find your application by just writing the relevant term on the search engines. We will also list your application in all major app listing websites like 148apps.com, app advice, feedmyapp etc. Well, what’s better than a proper online marketing for your app it’s the fast way to do branding and get your app downloads. To achieve that we will run different app ad campaigns on platforms like YouTube, Google play PPC and banner display, the choice of the platform all depends upon the strategy and budget. Social symbols like reviews are the best way to get the high app downloads, we will make sure that we build the best application for your business and add smart pop-ups of rating and reviews so however will download your application can easily review your mobile application !! We use the world's best mobile app development tools! Appcelerator allows developers to create apps with fewer lines of code. This app development tool supports iOS, Android, Windows, and browser-based HTML5 applications.To speed up our mobile app development we sometimes also use Appcelerator its USP is we can create an app with the fewer line of codes which saves our time. It can create apps for IOS, Android, and Windows. Phone gap is a free open source app development platform. It best to use for creating the cross-platform app, which works for every operating system. How much time does it take for a Mobile Application Development? Well, that’s a debatable topic as every app have its own it all depends upon the features and technology will go into it. In approx app development at Quantum IT Innovation, takes 90-120 working days with a 100% guarantee that you will always get it before the timeline. What is the cost to launch the Mobile app in the play store and app store.? Both Google and Apple charge a common fee from companies to let them upload their mobile applications. It 99 USD for Apple app store and 25 USD for Google play store. What will happen to my app with the release of new Operating systems in IOS and Android? It is suggested that you should first test the application in the new OS and list out what things are not working. Then communicate it to us, we here to help you our app development team will do quick fixes to make the app compatible with the new OS. To track the project better we will give you the access to project management tools that help you to find on what stage your project is, along with this we also give you the Skype communication. What if I don’t like your app development service? Well, that will not happen as we have the experience of delivering successful app projects in Dubai and you must have also done a research before choosing us so will respect that and do your best to make satisfy you. Are my business information and secrets safe with your company? In Quantum IT we use the fully secured token of authentication along with an encryption data storage to secure the sensitive data.